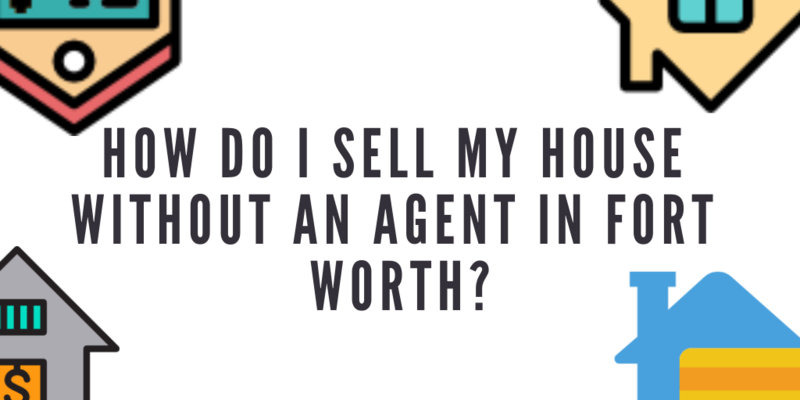 How do I sell my house without an agent in Fort Worth? If you’re asking yourself “how can I sell your house or investment property in Fort Worth without using a real estate agent?“, we can help. In most sales in Fort Worth, roughly half of the commission you pay as the seller goes to pay for the buyer’s broker. Sometimes in Fort Worth buyers who aren’t represented by an agent won’t remember to negotiate the buyer’s side commission out of the price for themselves, so don’t remind them if you don’t want to pay them. Just don’t be surprised if it comes up during the negotiation. On the other hand, if you don’t leave room for the buyer’s agent’s commission, you’ll be excluding most of the buyers in the market in Fort Worth. Over 90% of transactions happen through the MLS – that’s the Multiple Listing Service. It’s the main database that all the brokers in Fort Worth use to access information for their clients on the houses, condos, land and investment properties for sale, along with data on the sold prices. Once upon a time, you had to pay a full commission to get your property on the MLS. Now in Fort Worth, there are a few brokers who will charge you a fee just to list your property on the MLS. Often, you spend a few hundred bucks and you only pay commission if the sale closes. All the major real estate search sites like Realtor.com, Zillow, Yahoo Homes, etc. get data from the MLS. Chances are good that when you submit your listing in Fort Worth to the MLS, information on your property will end up on most of the major sites within a few days. Advertising is a gamble. Sometimes open houses in Fort Worth TX can be a great way to sell property, and sometimes they’re a waste of time. Same with newspaper ads, craigslist postings, fancy signs – sometimes they work, and sometimes they don’t. Sometimes we’ll purchase Fort Worth houses, fix them up, then rent them out… sometimes we’ll fix them up and sell them to other people looking for great homes in the area, and a lot of other reasons, too – but we love to hear from people like you who are thinking of selling anywhere in TX. “Need to sell my house fast ASAP” here’s what you need to know before listing your Fort Worth house. We’re investors who care a lot about Fort Worth. So if you are asking yourself how can I sell my house fast Dallas or Fort Worth area. We can help! We close fast and pay cash in as little as just 3-5 days. Give us a call now at (817) 796-6203 or fill out the short form over here.